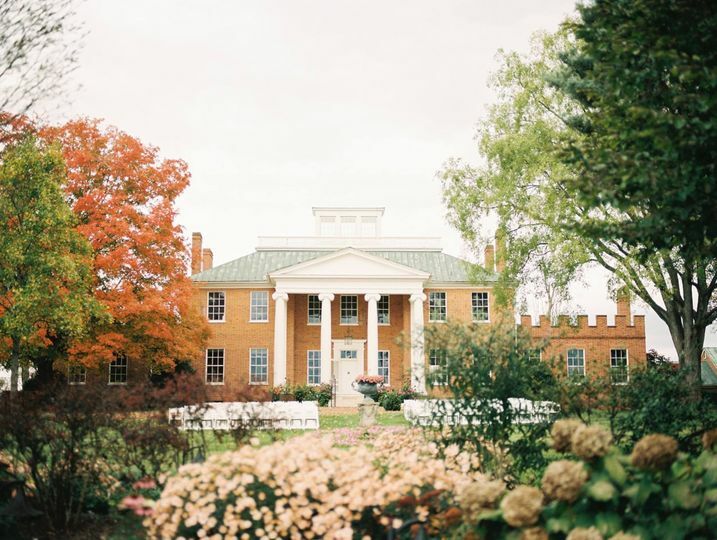 Long Branch is a historic wedding venue in Virginia Hunt Country located just outside of Washington, D.C in Boyce, Virginia. 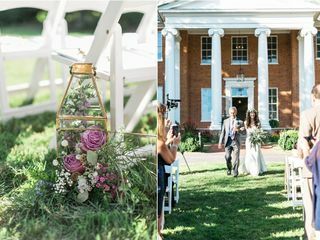 Nestled on 400 acres of rolling hills, this venue features a historic house with stunning architecture, art gallery space and breathtaking views of the Blue Ridge Mountains . You and your guests will be captivated by the majestic surroundings and peaceful atmosphere that Long Branch has to offer. 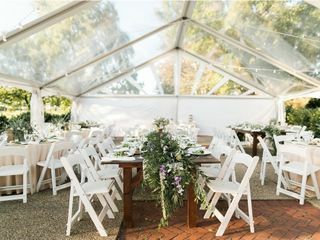 Because we host many types of celebrations and programs at Long Branch, we limit the number of weddings at our venue to twenty per year, so it is best to schedule with us as early as possible. When you are married at Long Branch, you also have a place to celebrate the many occasions of your new life as husband and wife. Many couples return to us for our family events or to host their anniversary and birthday celebrations. 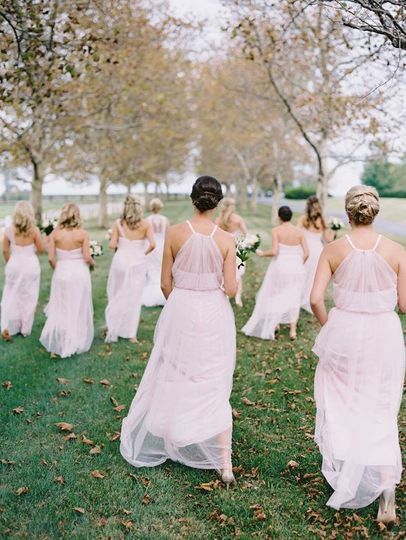 Please feel free to call us with any questions that you may have about our venue – we are happy to help make the best day of your life a wonderful and memorable experience! 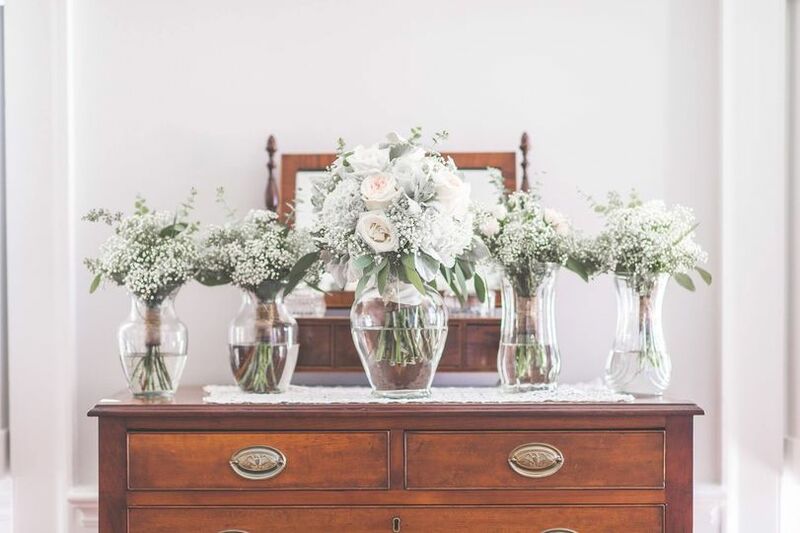 Long Branch’s preferred vendor list includes exceptional wedding planners, catering services, florists, photographers and everything you need for your special day. 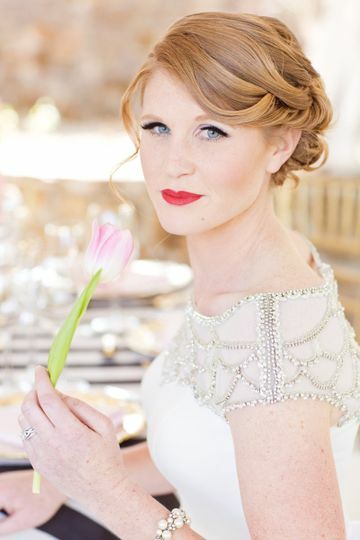 These wedding professionals offer a variety of services and budgets to help you create the wedding of your dreams! I can't begin to tell you how perfect my Long Branch Wedding was! From the first time I stepped on the property I had the best feeling. 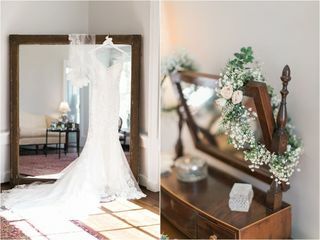 All my wedding stress went out the door and from that moment on it was a dream working with and planning the wedding of my dreams. 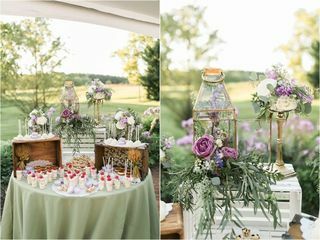 Long Branch is a one stop shop meaning when you sign your contract with them you get to chose a photographer, they provide you with a caterer (food and cake), a DJ, flowers and decor, a wedding planner (who is super sweet and amazingly talented), and so much more! All I had to do was give Gretchen (the wedding planner) my ideas on what I envisioned my day to look like and she really took it from there letting me focus and enjoy the best months before my wedding! My big day came and I was blown away with everything. Really above and beyond anything I could've imagined. ..not to mention Long Branch with no decor is a beautiful place. 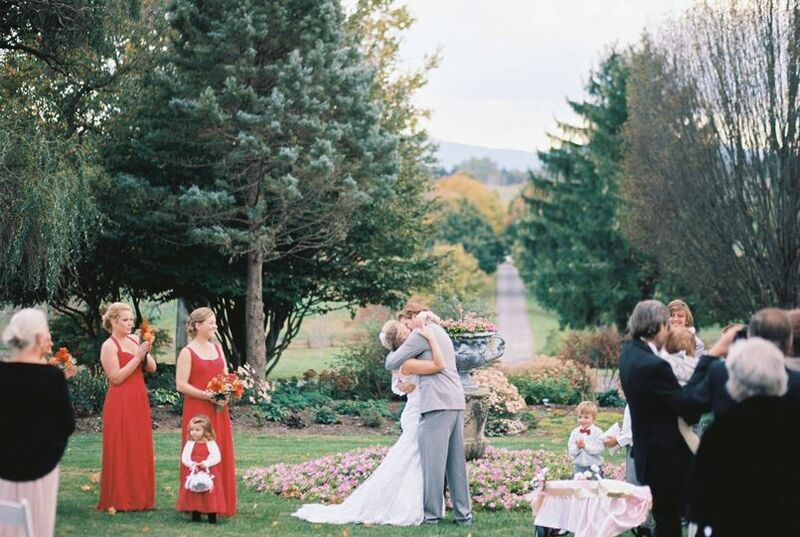 With all its history, horse fields, and rolling mountains as a backdrop it makes for the perfect location. It's been almost 6 months since my perfect day and I'm still awestruck. Do yourself a favor and check this venue out! 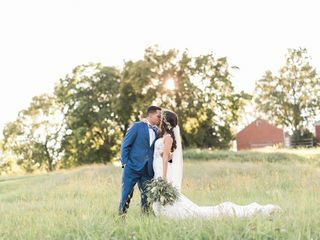 Your wedding was one of our favorites and we just know that your life will be filled with happiness and love! Thank you so much for sharing such an important day with Long Branch. It was an honor! Getting married at Long Branch was one of the best decisions that my husband and I made. It was the very first venue we looked at and once we saw it, we knew it was the one! The property is absolutely gorgeous and has great views of the mountains which we absolutely love. For us, one of the selling features is that the property is on 400 acres so you will have your privacy. 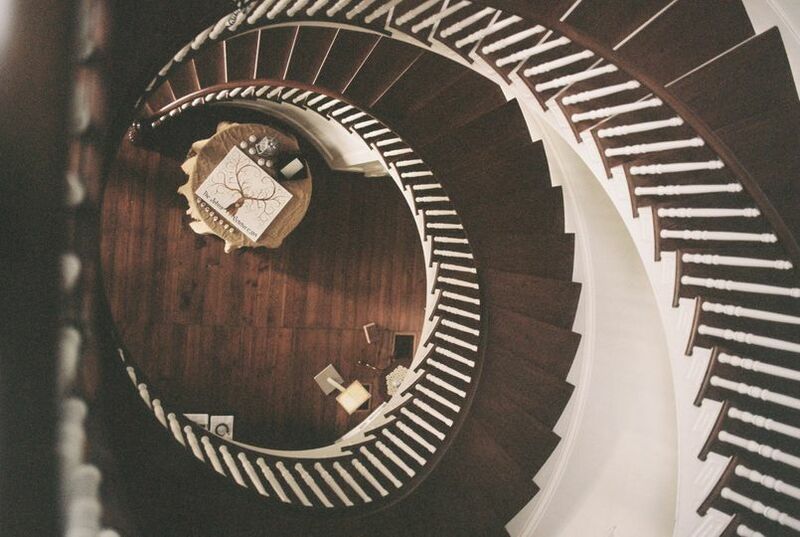 The inside of the mansion is breathtaking as well and full of so much history! 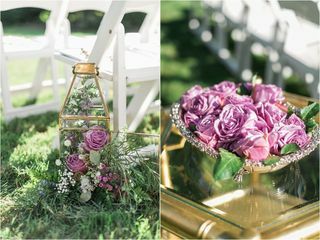 We also had the pleasure of working with Gretchen (our wedding planner) from Dragonfly Events and Design when we signed on with Long Branch. She had a ton of wonderful ideas and listened to everything that we had in mind. Not that it needs much, but after everything was said and done, on the day of our wedding Gretchen transformed Long Branch into a sight we will never forget! 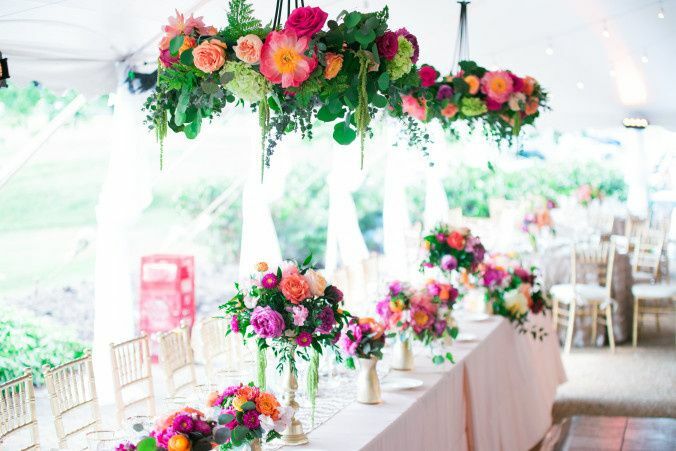 I cannot recommend Long Branch or Dragonfly Events and Design enough!! Check this place out and you will so happy you did! We got married at Long Branch in September 2017 and we'd highly recommend it. 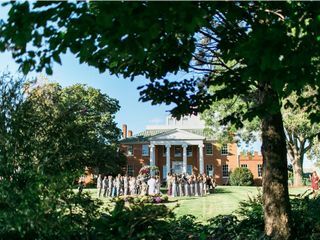 From the elegant country home on the property to the great views of the Blue Ridge Mountains surrounding it, we and all our guests loved it. Being Virginia natives, we wanted something that really represented where we're from and Long Branch fit the bill. 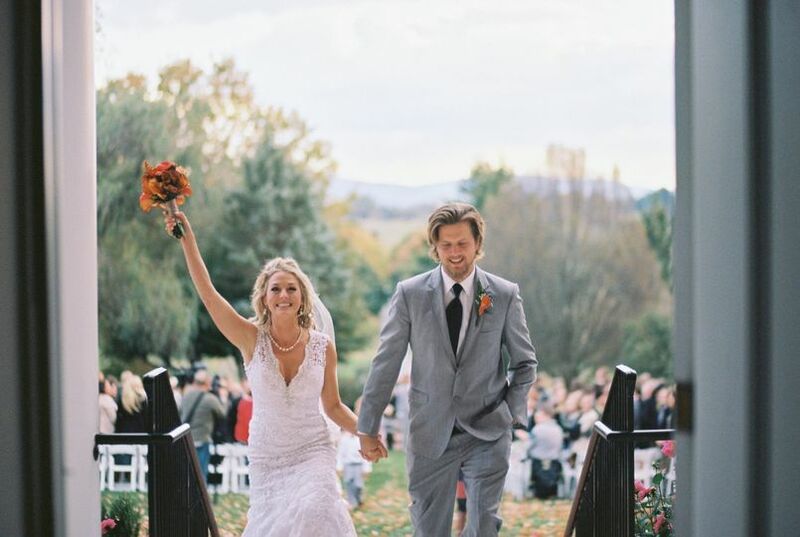 Everything went super smoothly and we were extremely happy with how our wedding turned out. Thank you Ashley! Your wedding was so beautiful and we wish you both all the best!